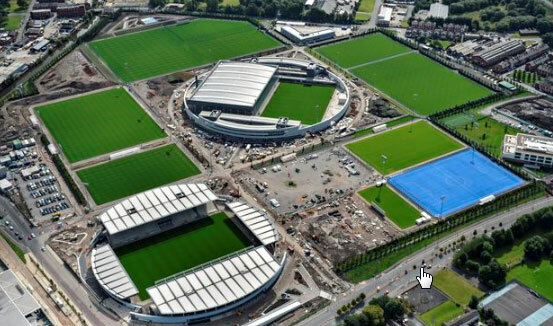 Scope: A new training facility and headquarters for Manchester City Football Club whereby Murraywood carried out groundworks. Work predominantly consisted of extensive drainage and service installation, but also extended to foundations for the new stadium and other hard landscaping aspects. Over 40,000 linear metres of service ducting to serve the facility. 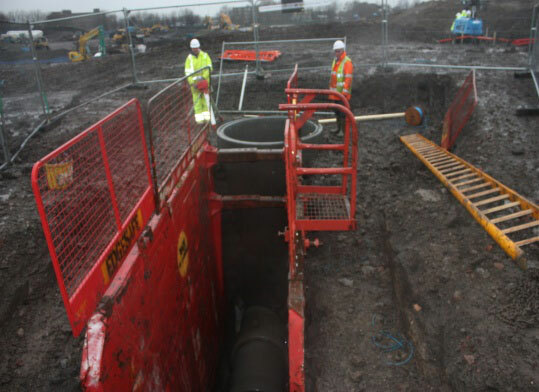 Over 2,000 linear metres of drainage ranging in size from 300mm to 900mm diameter. 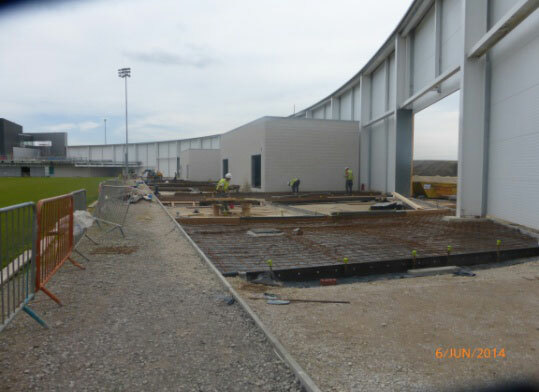 Reinforced concrete foundations for the North West Development Arena Stadium. Internal reinforced concrete floor slabs. 20,000m² External exposed aggregate concrete ‘Artevia’ footpaths and pedestrian zones. Installation of 5 no. Rainwater harvesting tanks. Installation of 2 no. 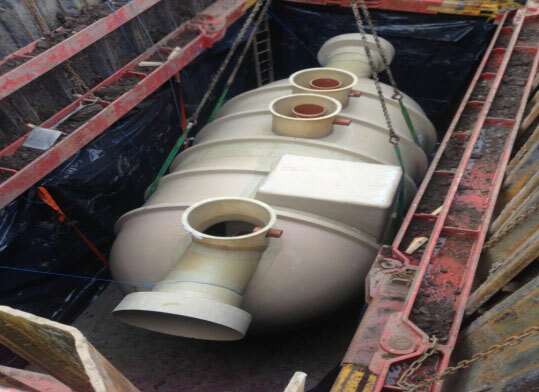 3m x 12m diameter storage tanks. Installation of 14 no Musco flood lighting columns to illuminate pitches. Car park surfacing for over 1500 cars.